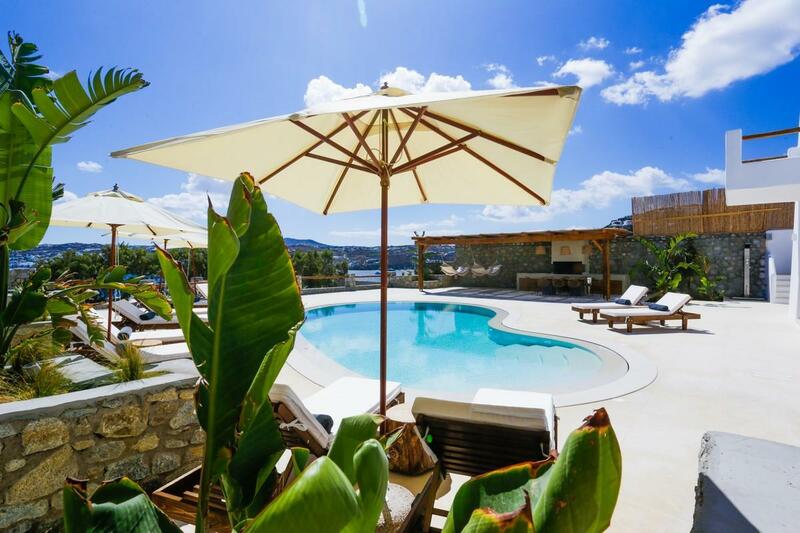 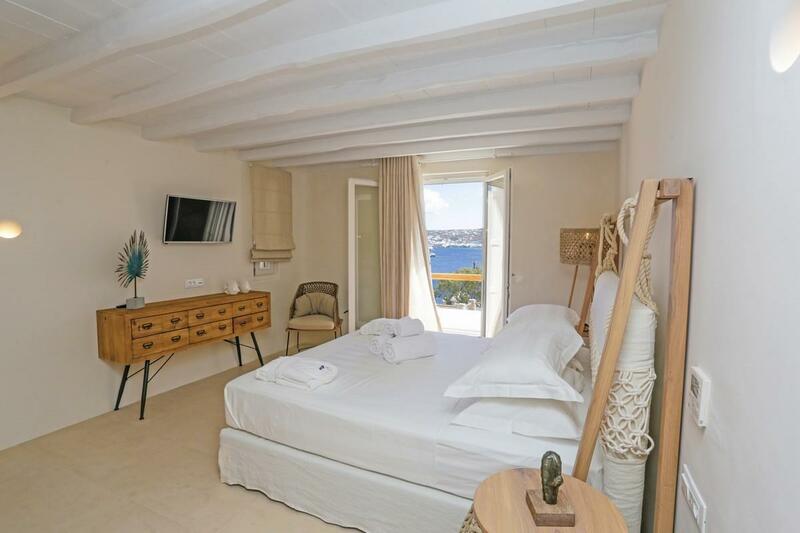 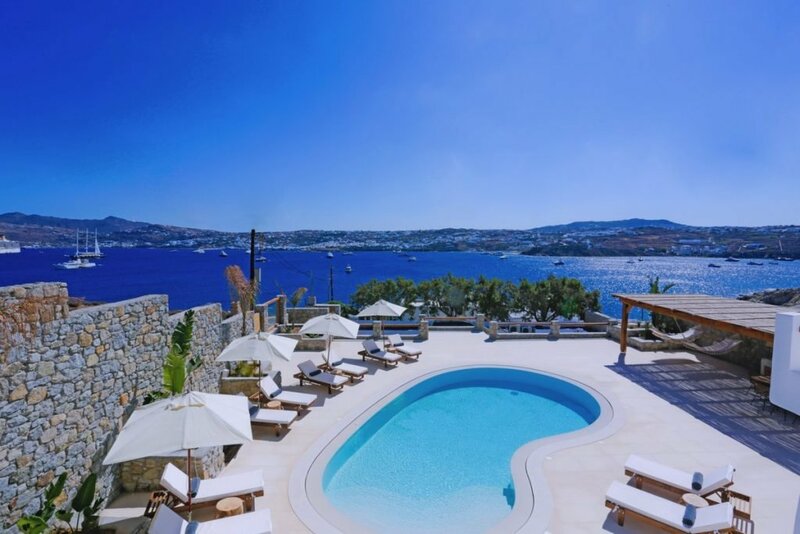 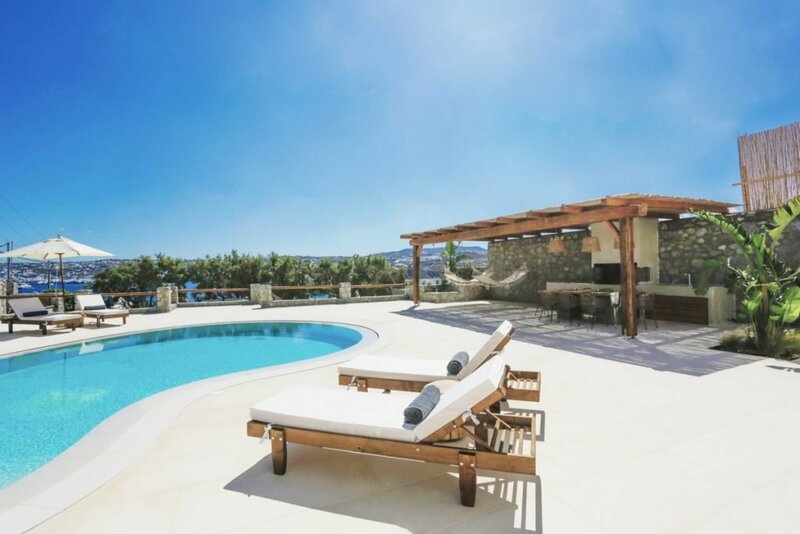 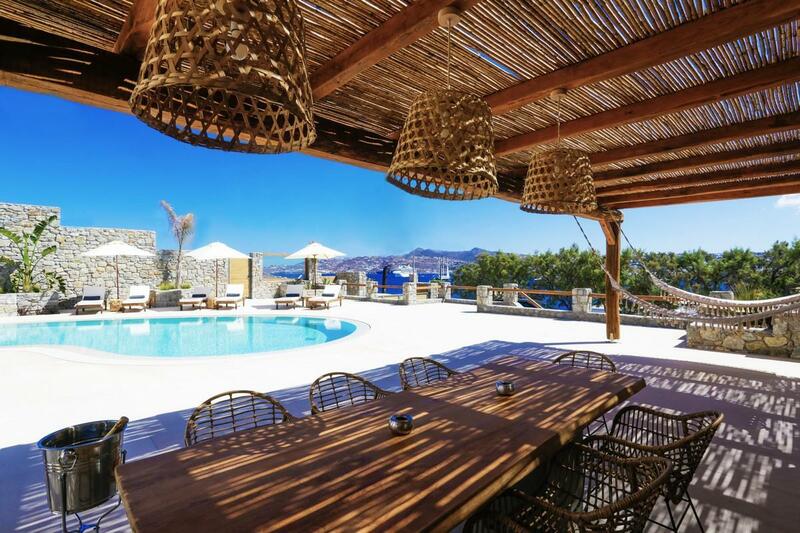 Villa Angelica consists of two attached buildings and it’s definitely one of the island’s most tasteful and luxurious villas. 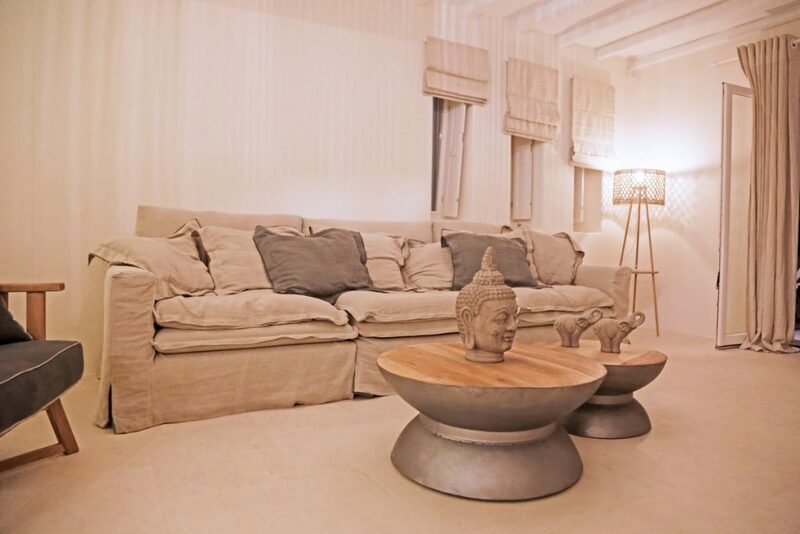 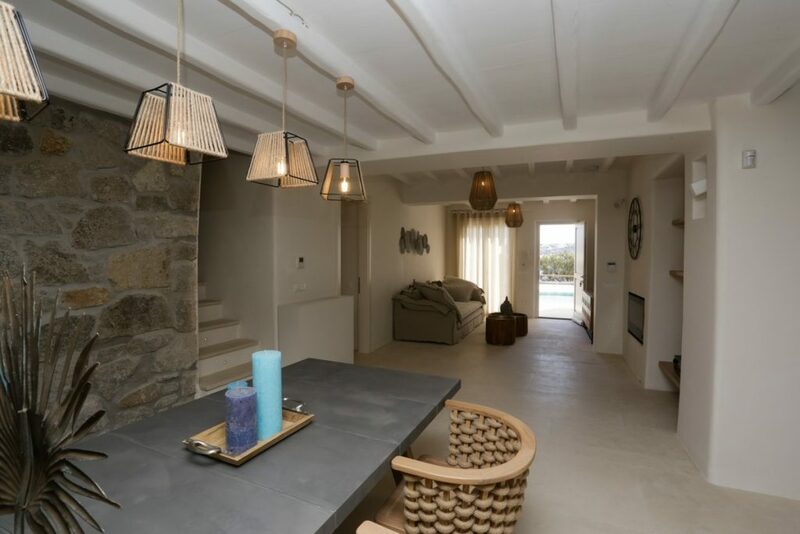 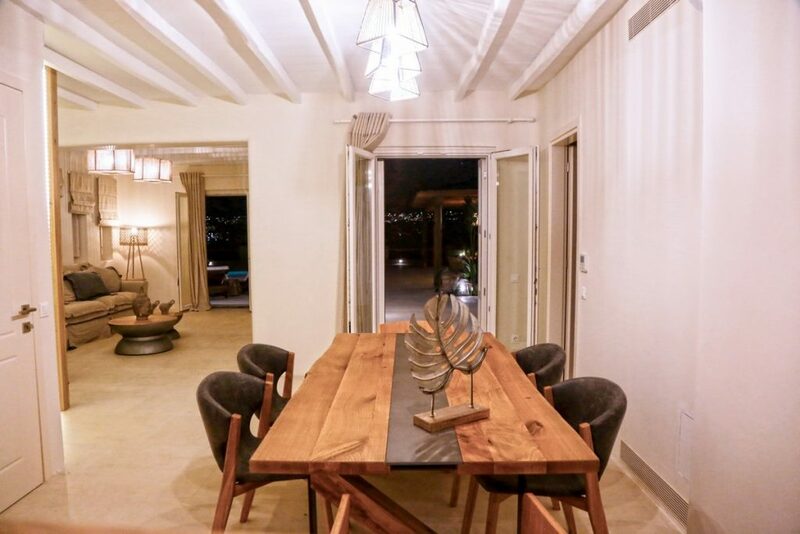 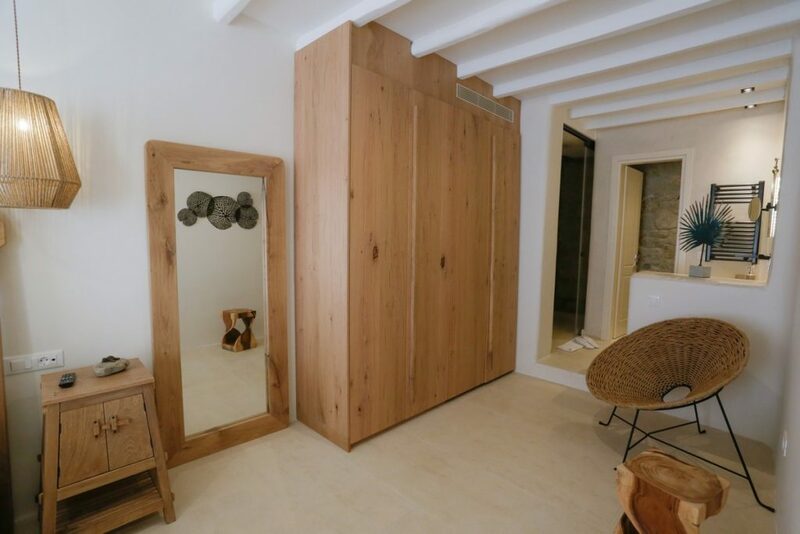 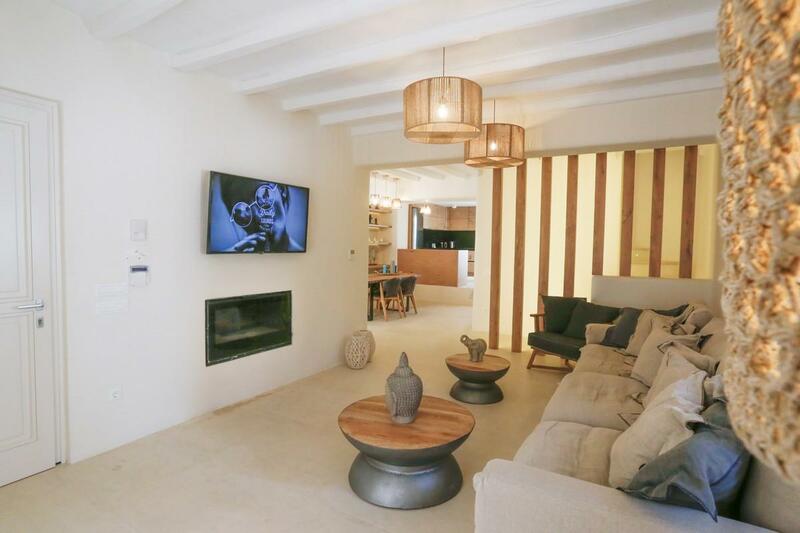 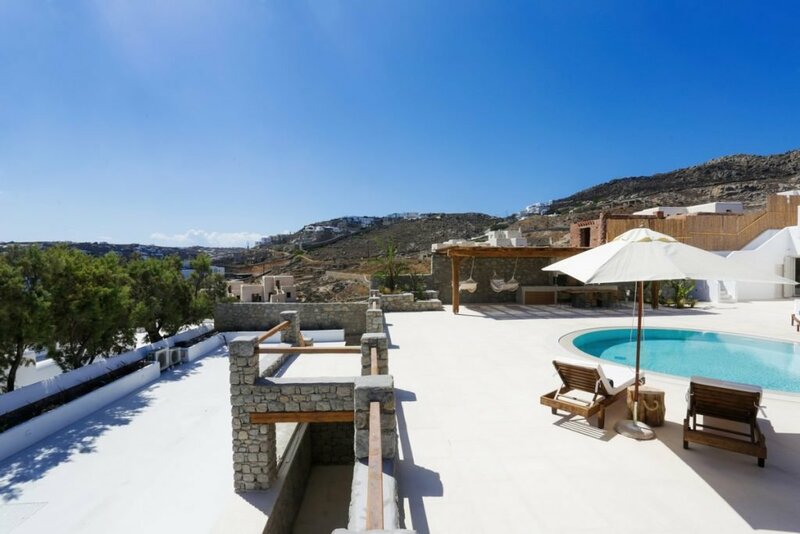 It also has two adjoining guest apartments and is built on a plot of 1,000 sqm. 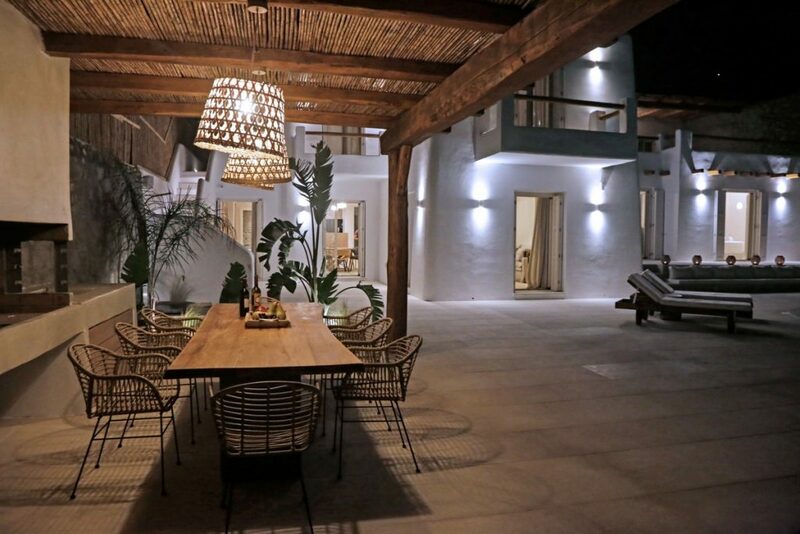 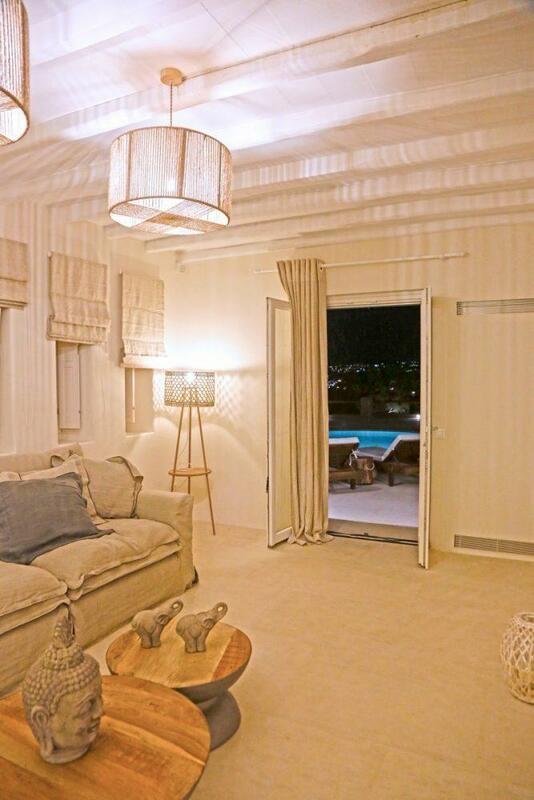 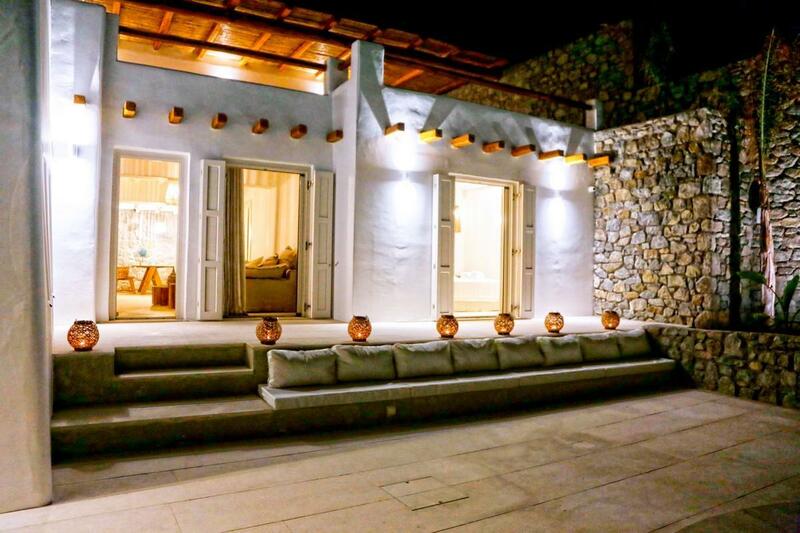 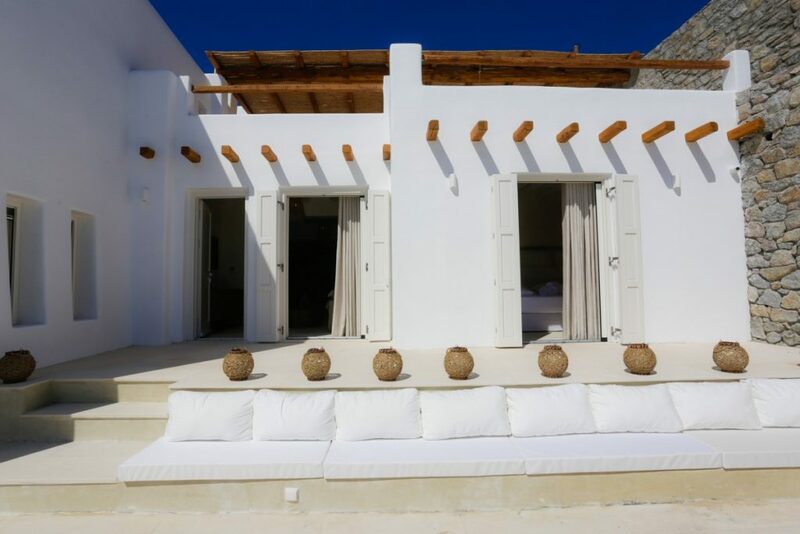 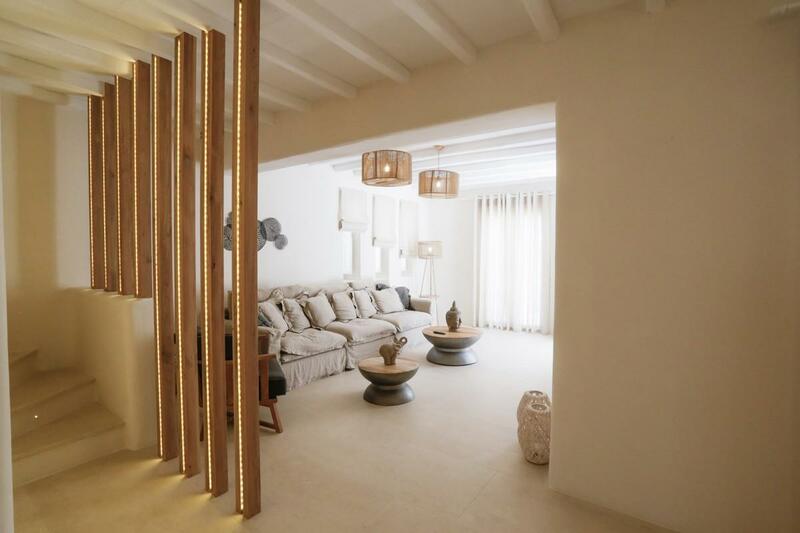 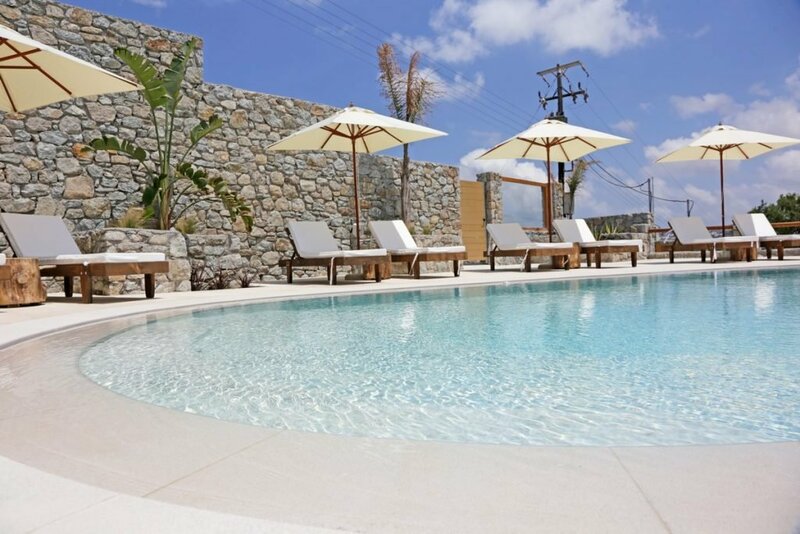 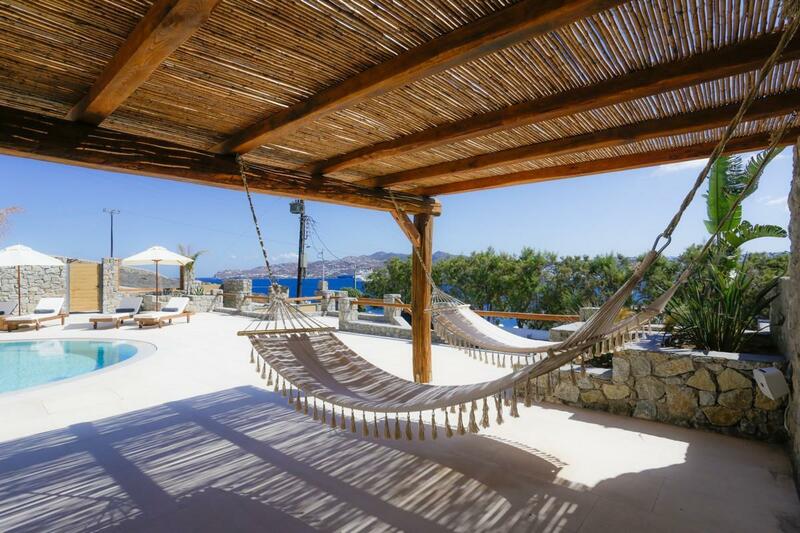 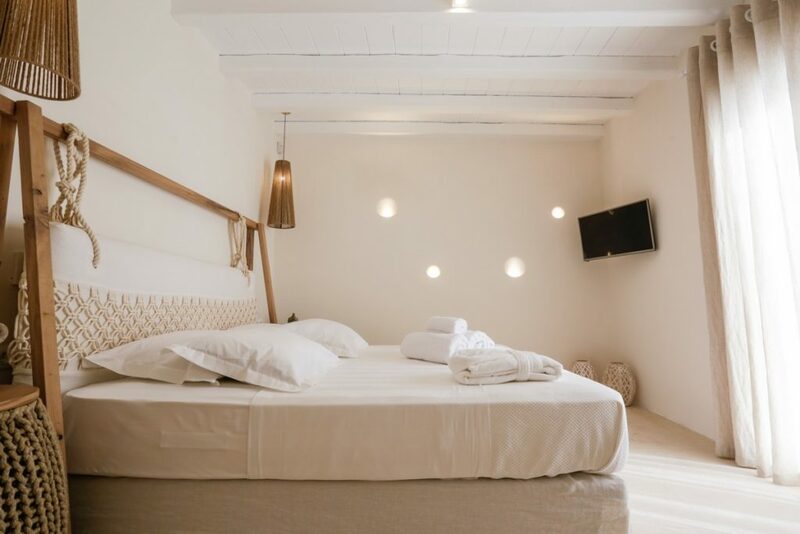 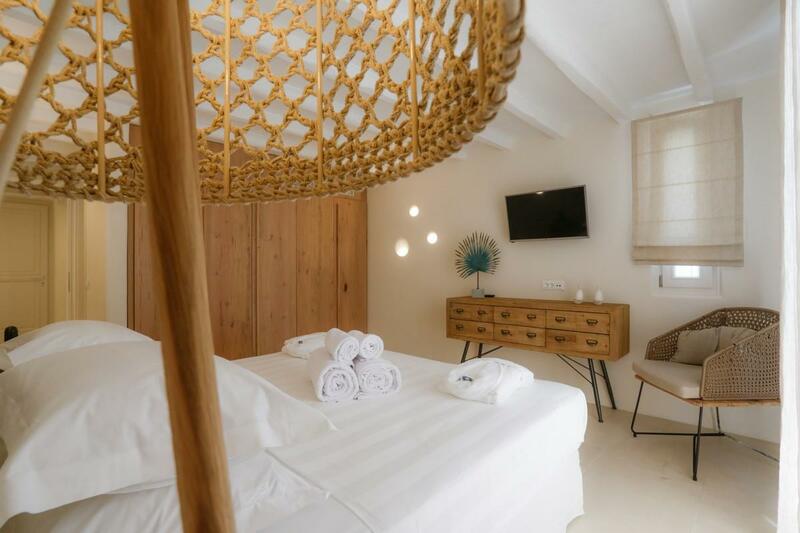 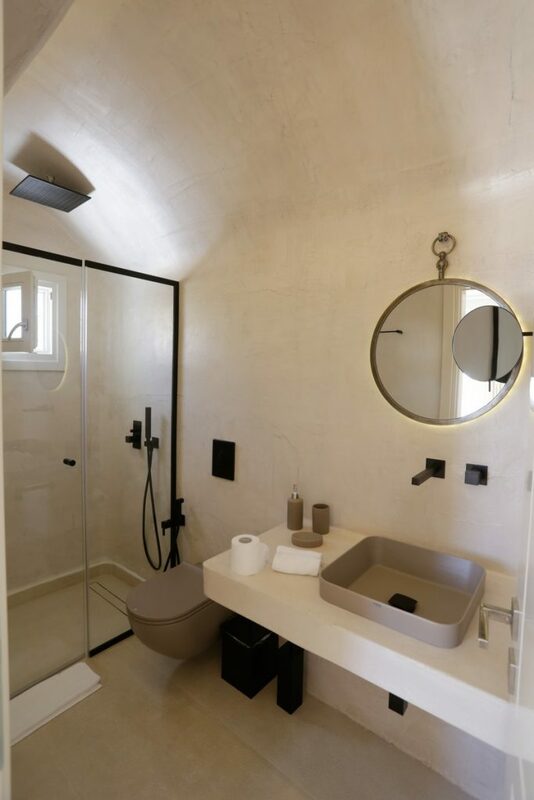 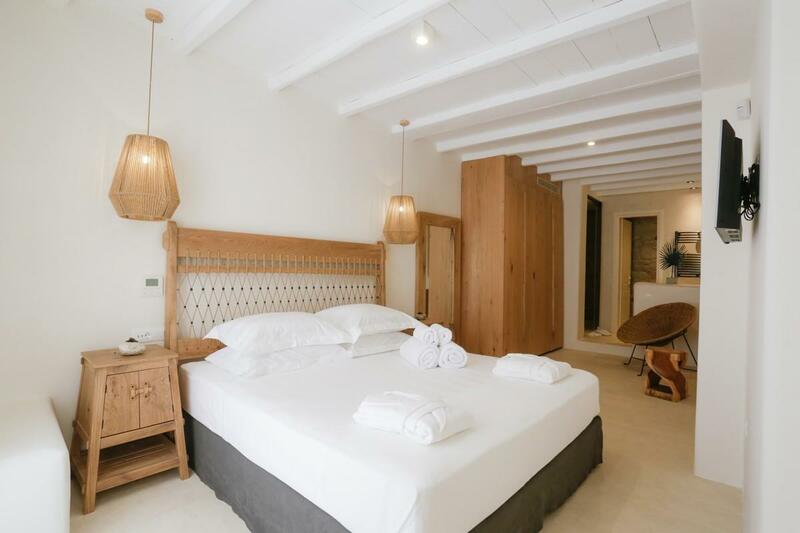 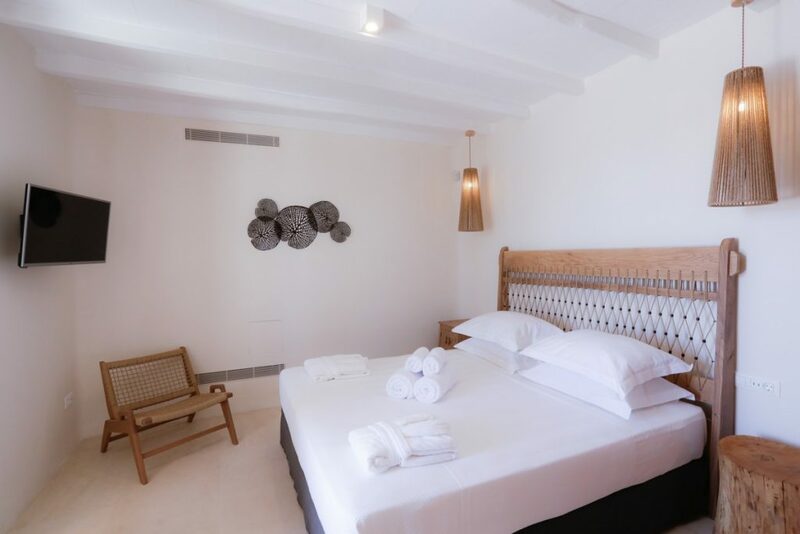 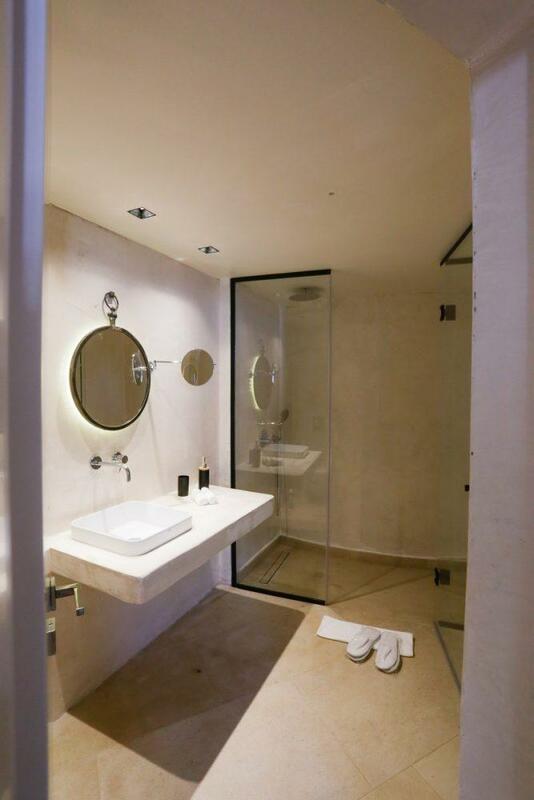 The main villa combines perfectly modern and traditional Cycladic design and offers unparalleled luxury and privacy. 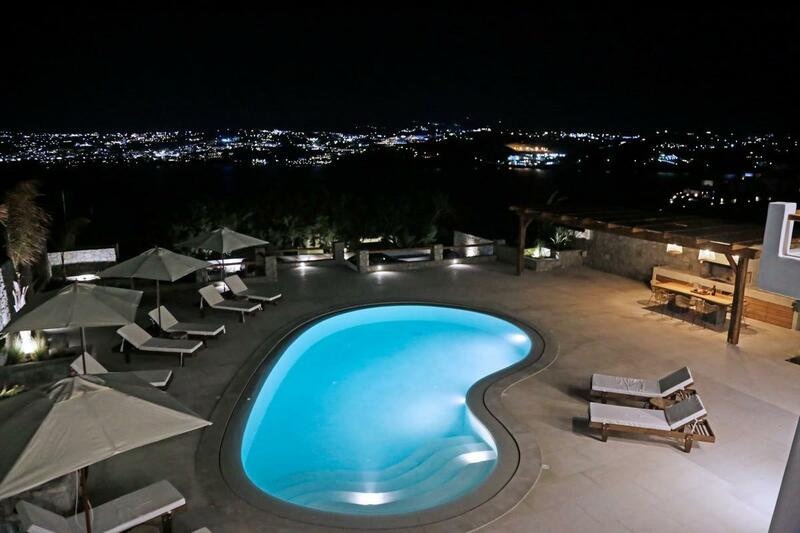 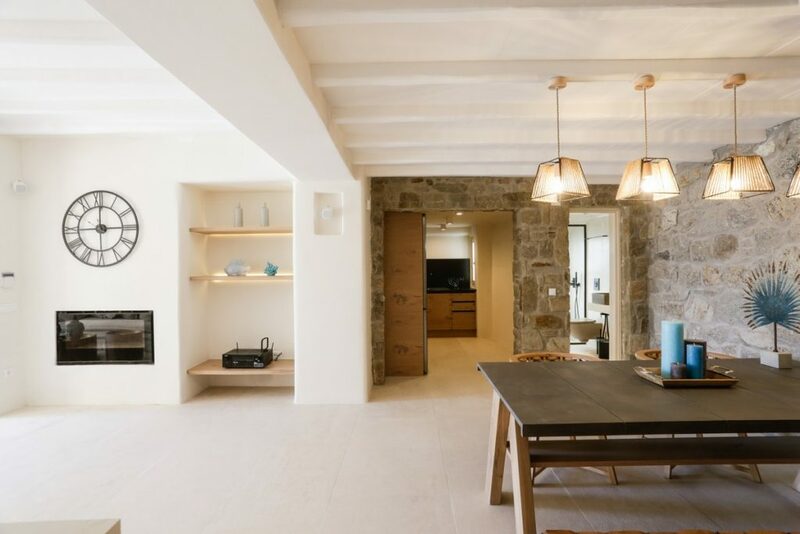 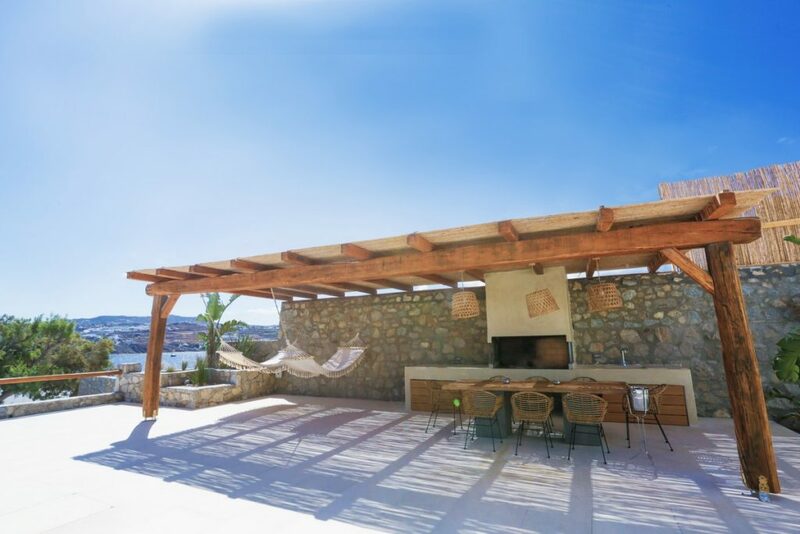 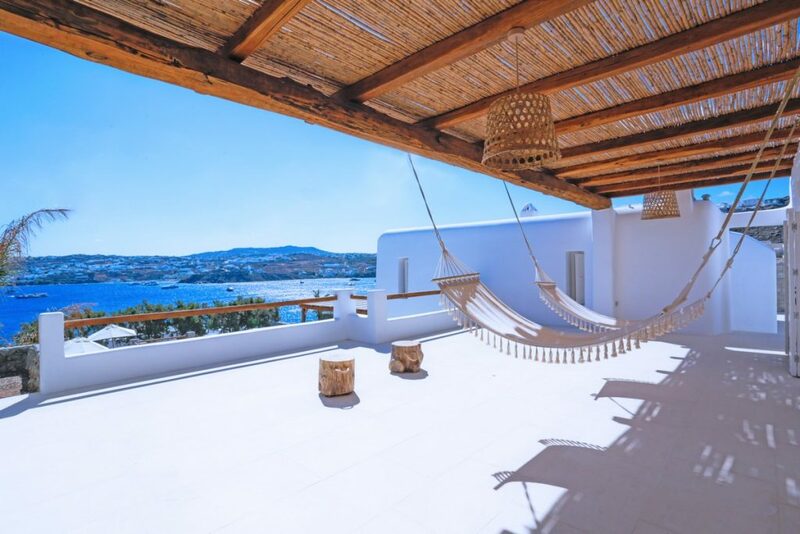 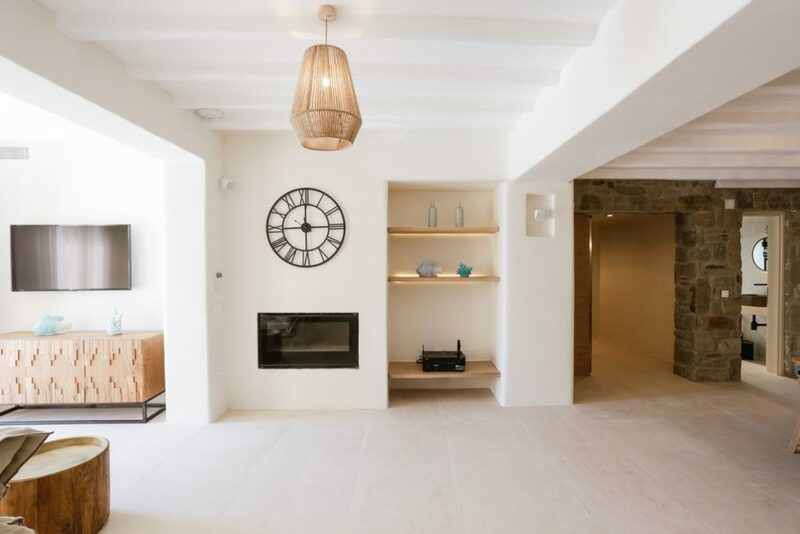 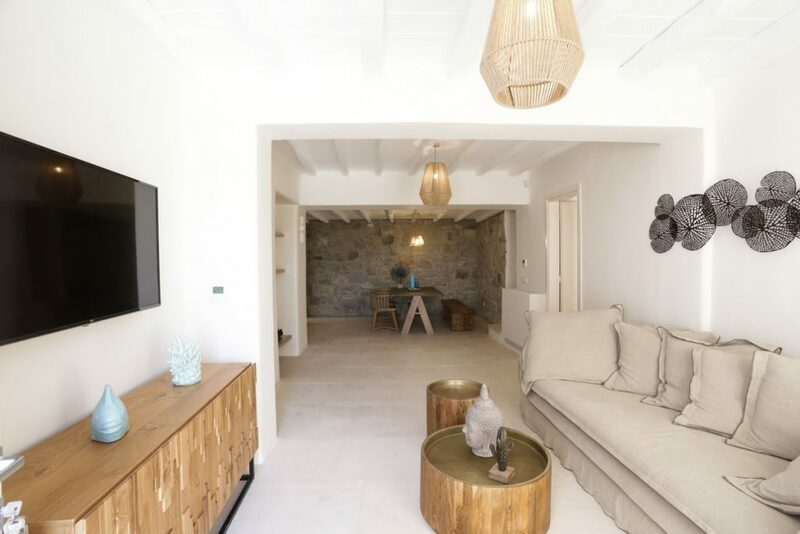 Its enchanting and picture-perfect location with the splendid view of the Aegean Sea, the Old and New harbor and Mykonos’ town makes it one of the Cyclades’ most coveted destinations, ideal for socializing and entertaining with family and friends (up to 17 guests). 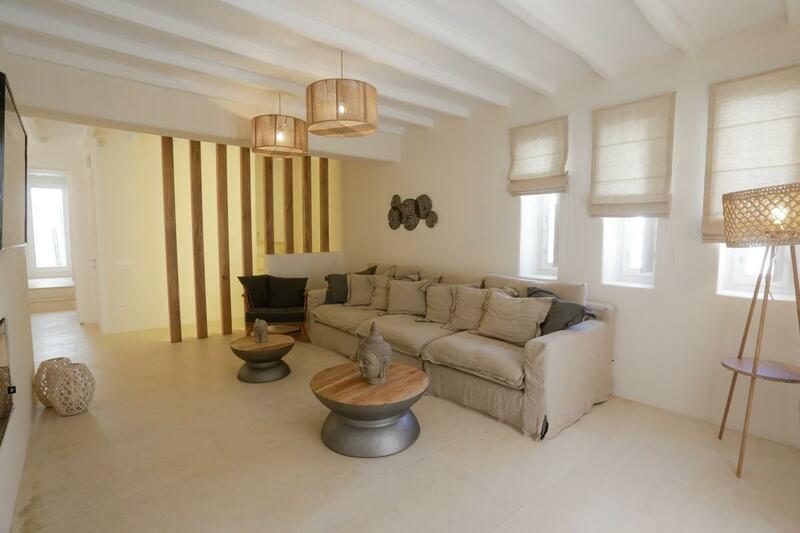 1 Double bedroom, with double bed, en-suite bathroom, living room with a sofa bed, equipped kitchen, separate entrance, limited view.